Twitter's new interim CEO Jack Dorsey will have a starting salary of $0. What other executives leading big U.S. companies have a base pay of just $1 or less? NEW YORK (TheStreet) -- When Hillary Clinton launched her presidential bid in April, she came out strong against excessive CEO pay. But did you know the executives of some of the biggest corporations in the United States have a base salary of just one dollar or less? Jack Dorsey, the new interim CEO of Twitter (TWTR, is the latest chief executive of a major U.S. company to have a radically low salary compared to his position, according to a filing with the SEC this week: "At your request, you have agreed to forego any compensation for your role as Interim Chief Executive Officer until the Compensation Committee agree upon a compensation package for you at the same time that it conducts its annual assessment and setting of executive compensation later in the year. Until a compensation package is finalized, you will be entitled to no cash or equity compensation for your services as Interim Chief Executive Officer." Apple (AAPL - Get Report) founder Steve Jobs famously adopted a dollar-a-year salary upon returning to the firm in 1997 and maintained the pay scheme through his 2011 resignation. During his time as CEO, Jobs received limited bonuses and perks as well, one major exception being the $90 million Gulfstream V airplane he was awarded in 1999. But what he wasn't making in base salary (and airplanes) he made up for in other ways, including the ownership of 5.5 million Apple shares and 138 million Disney (DIS - Get Report) shares, which have paid him rich dividends. In other words, Jobs wasn't going hungry. Nor are the current corporate executives whose annual salaries are, essentially, nil. What CEOs aren't getting in base pay they often receive in stock, options, bonuses and perks. In many cases, they've already amassed fortunes large enough to render any reasonable base pay irrelevant. For others, reduced salary agreements are only temporary. Hewlett-Packard's (HP - Get Report) dollar salary agreement with Meg Whitman wasn't forever. Upon joining the company in 2011, her initial salary was established at $1 per year, "reflecting the company's planned turnaround." In 2014, her pay was bumped up to $1.5 million -- a reward for her moving things in the right direction, including HP's impending split. Jen-Hsun Huang, founder and CEO of Nvidia (NVDA - Get Report), voluntarily decreased his salary to $1 in 2009 and 2010 as part of company-wide cost-cutting efforts. In 2011, his pay was restored. Vikram Pandit, former CEO of Citigroup (C - Get Report), said in 2009 he would take a $1 salary and forego a bonus until the bank returned to profitability. In January 2011, his base salary was increased to to $1.75 million. So who is in the $1 club now? Here's a look at 10 CEOs who are making next-to-nothing in base salaries -- and where they're making up for it, compensation-wise. 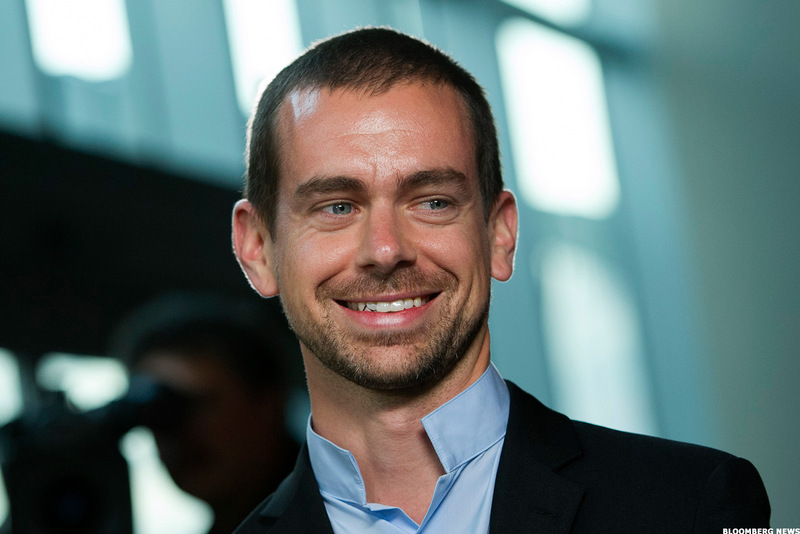 Despite receiving no compensation of any kind from Twitter, Dorsey isn't hurting. His net worth currently stands at $2.6 billion, which he amassed primarily through his holdings in Twitter and mobile payments company Square, which he founded in 2009 (and presumably still draws a salary from -- Square has not yet responded to request for comment). Dorsey, 38, owns 26% of Square, according to Bloomberg. Dorsey is also a board member of The Walt Disney Co. (DIS - Get Report) and owns shares in the media and entertainment company. Disney pays dividends, giving Dorsey some income from his ownership. 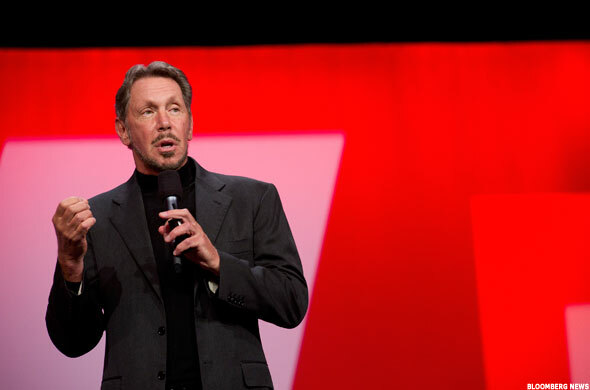 Even though Oracle's Larry Ellison has a $1 annual salary, he still ranks among the highest-paid CEOs in America. In 2014, his total compensation was $67.26 million, including nearly $65 million in option awards. He made an additional $741,384 in non-equity compensation and $1.5 million in other compensation (which is largely attributed to "security-related costs and expenses"). Moreover, he owns 1.15 billion Oracle shares, a 26% stake. Oracle shareholders have become increasingly restless regarding Ellison's compensation. Last November, more shareholders voted against than for a nonbinding proposal to approve Oracle executives' pay for a third consecutive year. It is worth noting that the company has taken measures to make adjustments and cut back. In a 2007 speech, Richard Fairbank talked to an audience at Stanford about the business of running a business. "It has to be a labor of love," he said, "and you have to define success on your own terms." Fairbank founded Capital One alongside Nigel Morris in 1988 and hasn't received a salary from the company for 18 years. Sans salary, the CEO is still doing quite well. In 2014, Fairbank received $19.61 million in total compensation, including a $4.41 million cash bonus -- nearly double the $2.84 million received the year prior. 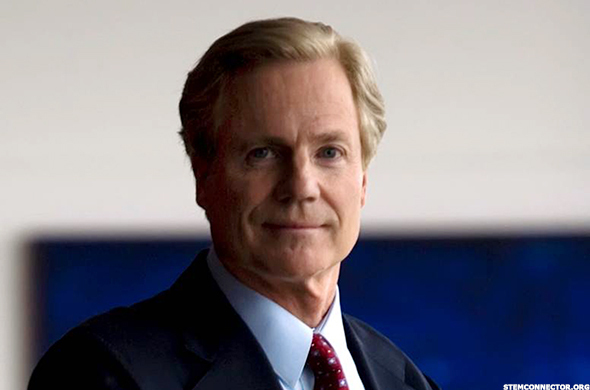 A spokesperson for Capital One pointed out that Fairbank received no salary for the 18th year as well as that his pay package remains primarily equity-based and "completely at risk based on the company and CEO performance" and, for most of the package, based on Capital One's stock performance. 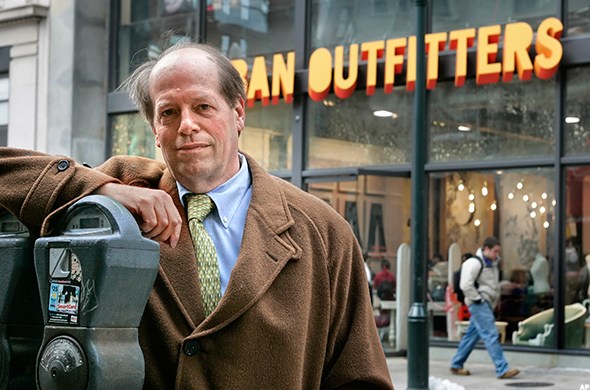 Richard Hayne co-founded Urban Outfitters in 1970 and has been the company's chairman and president since its incorporation in 1976. He served as the retailer's principal executive officer until 2007 and returned to the helm of the firm in 2012, replacing Glen Senk as CEO. Hayne collects $1 in base pay. His total compensation for fiscal 2013 was $33,273, and for fiscal 2014, $68,487. For fiscal 2015, it jumped to $535,636, driven by $500,000 in non-equity incentive compensation. What allows Hayne to forego big paychecks? The fact that he owns 23.18 million Urban Outfitters shares -- a 17.8% stake in the company. His wife, Margaret, has an additional 6.22 million shares of her own. At today's prices, his stake alone is worth about a billion dollars. Richard Kinder left Enron in 1996 to build Kinder Morgan alongside college friend William Morgan. 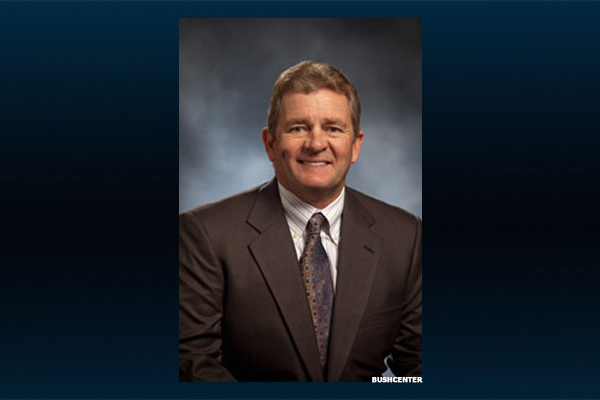 He has served as the chairman and CEO of the company and its predecessors since 1999. The company is now the fourth-largest energy company in North America. At the start of 2015, Kinder Morgan announced that Kinder will be stepping down as CEO in June, naming Steven Keane, its President and COO, as his replacement. Like Kinder, Keane will receive a $1 base salary and forego any annual bonus. 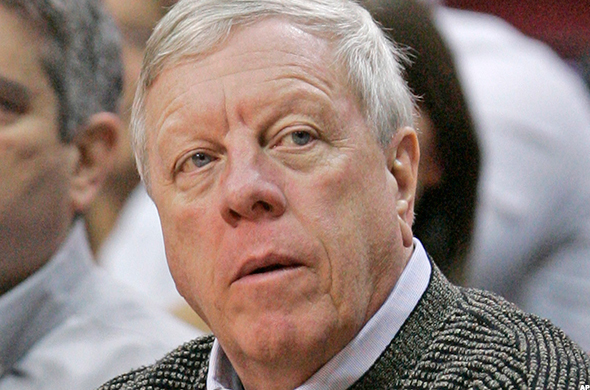 Kinder has 244.85 million Kinder Morgan shares to his name, giving him an 11.4% stake in the oil and gas company. In 2012, he made $1.1 billion for shares received when Kinder Morgan went private in 2007 (it became public again in 2011). Forbes estimates his net worth to be $12.3 billion. Since taking the reigns at Sears in 2013, Edward Lampert hasn't proven himself yet in orchestrating the struggling retailer's turnaround. In February, the company reported its eleventh straight quarterly loss. The executive, however, remains optimistic. In a letter to shareholders, he called 2014 a year of "massive transformation." This week, the stock soared following the announcement of a joint venture with mall operator Simon Property Group (SPG - Get Report) . 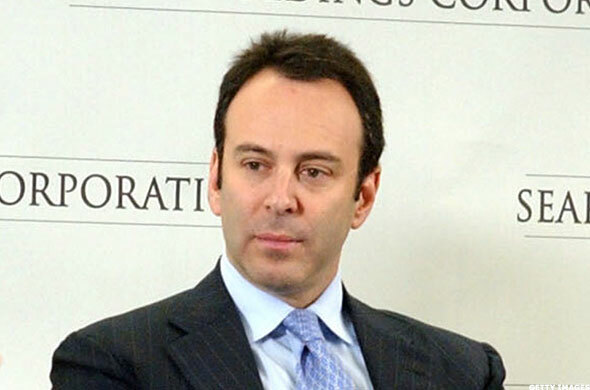 Lampert took over as CEO at Sears with the agreement that he would be paid an annual base salary of $1. That isn't to say the hedge fund exec isn't making money in his new role. In 2013, he received $4.3 million in stock awards, and in 2014, $5.7 million. His ESL Investments owns 62.26 million Sears shares, a 53.2% stake. Sears aside, Lampert has already built a great amount of wealth on his own. He is ranked No. 183 on the 2014 Forbes 400 list and has an estimated net worth of $3.2 billion. 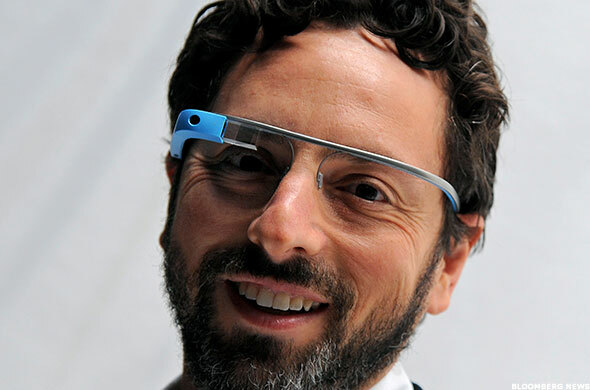 In 2005, Google co-founders Sergey Brin, Larry Page and Eric Schmidt requested that their annual salaries be reduced to $1. Schmidt's pay was boosted to $1.25 million in 2011 when he assumed the role of executive chairman -- a move that also brought about the granting of around $100 million in equity awards. Brin and Page, however, continue to receive one dollar in annual base pay, and they do not participate in cash bonus or equity programs. They are, of course, major shareholders. 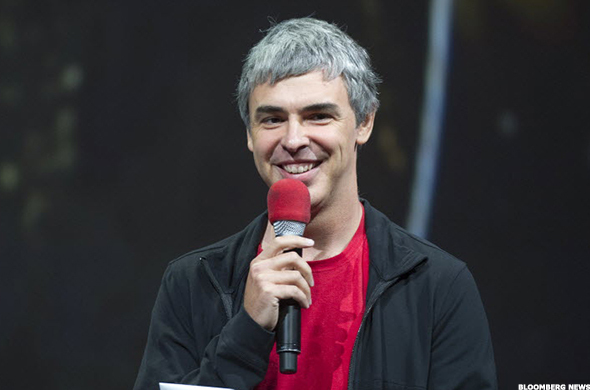 Page holds 23.59 million of Google's Class B common stock and has a total voting power of 28.1%. Brin has 23.16 million Class B shares and 75,000 Class A, giving him 27.6% voting power. Moreover, the two have an estimated net worth of about $29 billion each. 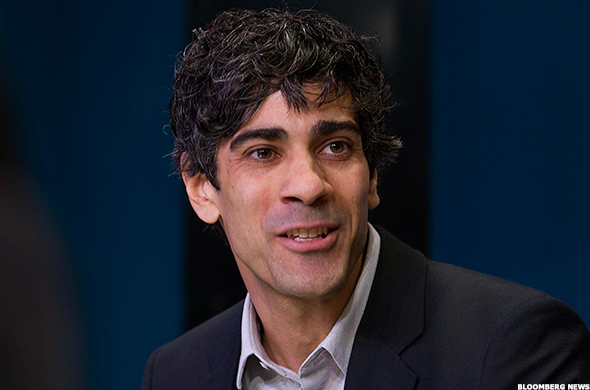 In 2013, Yelp's CEO, Jeremy Stoppelman, and its chief operating officer, Geoff Donaker, joined the $1 club. Thus, in 2014, the former brought in $66,193 in total compensation, and the latter $23,232, the bulk of which went to personal administration services and parking fees for Stoppelman and health club membership, parking and insurance premiums for Donaker. How are they paying their bills? Both Stoppelman and Donaker have thousands of stock options that are gradually vested over time. Moreover, Stoppelman's current stock ownership gives him 32% total voting power at Yelp, and Donaker's 6.5%. With an estimated net worth of $6.7 billion, Kelcy Warren has built a major fortune on pipelines. He has been the CEO of Energy Transfer Partners since August 2007 and is also the chariman of Energy Transfer Equity (ETE. He accepts no salary, bonus or equity compensation through either position with the exception of $1 per year in base salary at Partners. Warren is the owner of 91.72 million shares of Equity, which owns the general partner and 100% of the incentive distribution rights of Partners. Strauss Zelnick's path to the top of Take-Two Interactive Software is an interesting story. His firm, ZelnickMedia, took over the game maker in 2007 after its then-chairman and CEO, Ryan Brant, pled guilty to falsifying business records. Zelnick rejected a takeover bid from Electronic Arts (EA in 2008, and he stayed on as chairman, while Ben Feder, ZelnickMedia co-founder, became CEO. In 2011, Zelnick took over as Take-Two's chief executive. Strauss Zelnick collects no salary from Take-Two Interactive -- instead, his compensation is at the discretion of ZelnickMedia. 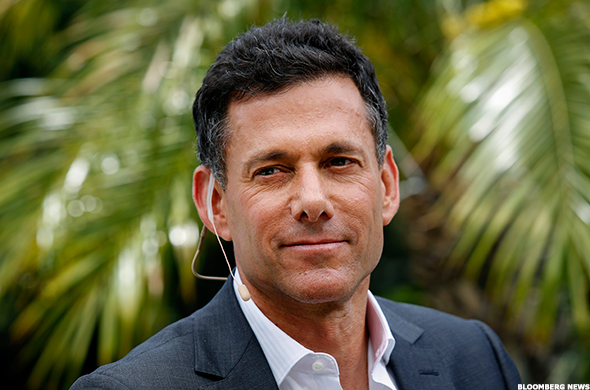 Take-Two pays ZelnickMedia a management fee each year and, as of 2014, no more than 60% of that fee may be paid to him. Zelnick was granted a time-based restricted stock award of 600,000 shares in 2008 and of 1.1 million in 2011. Strauss Zelnick owns 3.15 million Take-Two shares. In 2012, Facebook's first year as a public company, Mark Zuckerberg, made a base salary of $503,205. By 2013, that dropped to $1 at Zuckerberg's request. He is not eligible to receive annual bonus compensation, either. As one of the richest people in the world, he doesn't need it. Ranked at No. 11 on the Forbes 400, the social media giant founder and CEO has an estimated net worth of $36.5 billion. 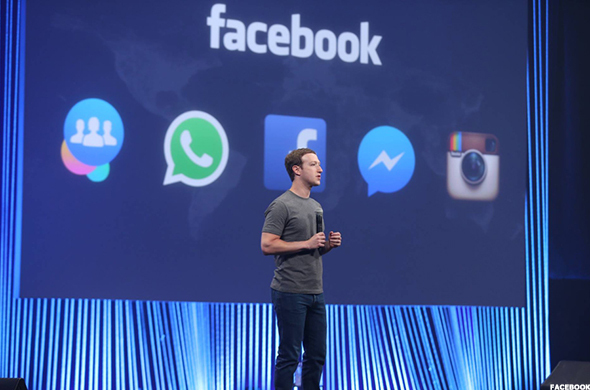 He is a majority shareholder in Facebook, with 61.6% total voting power.